Recently, a 4-star hotel in Austria was hacked, wherein their guests were locked in their rooms. And substantial amount of bitcoins were asked for ‘releasing’ them. Each room of the hotel was covered under Internet of Things ecosystem and the hackers hacked the entire platform. If we believe Akamai’s latest report on the State of Internet/Security, then such IoT hacks can increase in the coming months. 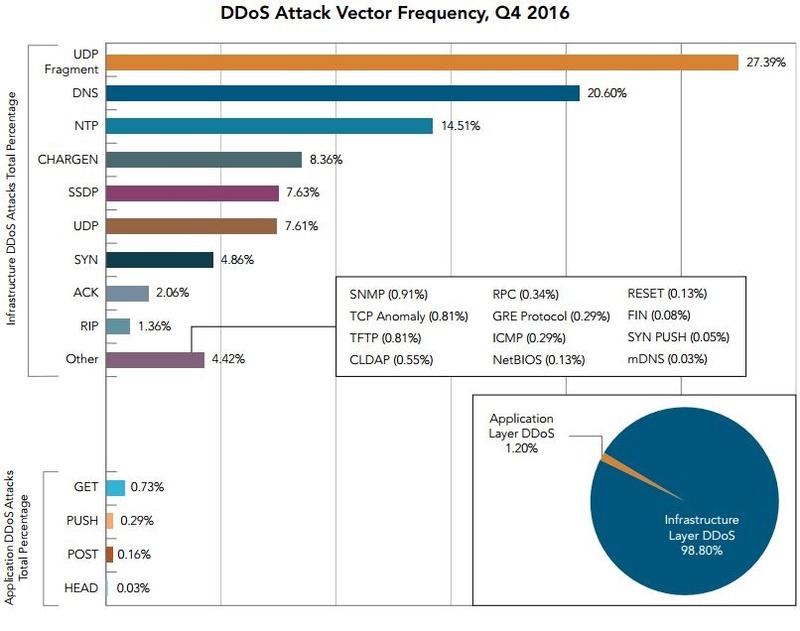 In fact, under DDoS (Distributed Denial of Service) attacks, IoT was the biggest target during Q4 of 2016. India was 4th largest destination for hackers in Q4 2016, as a total of 1.1 crore web apps were successfully hacked in India. This is indeed an alarming situation, as recently we reported how Ministry of Home Affairs website was shutdown even as the officials were not even aware whether the website was hacked or not. As per Govt. estimates, more than 2 Govt. websites are hacked every day in India. Globally, 27% more hacks were reported, compared to the same period last year. US was the #1 destination for hackers as a total of whooping 24.2 crore web apps were hacked in that country. Brazil is at #2 rank for top destination nation for hacking, while Germany is #3. UK, Japan, Netherlands, China, Australia and Canada are ranked #5, #6, #7, #8, #9 and #10 respectively. If we talk about hackers, then India is the 10th largest nation from where hacking originated. A total of 86.38 lakh hacks originated from India during Q4 of 2016. For the second straight quarter, US and Netherlands were #1 and #2 source hacking countries. This way, US is both #1 target and #1 source for hacking web apps. Germany is the third biggest source for hacking. Within Asia, China, India and Japan were the top nations from where hacking originated. China is the #1 destination in Asia as 1.4 crore hacks originated from this country. Interestingly, Russia, which had a dominant position in the ranking for hackers, finds itself below European countries. Akamai specially mentions the increase in hacking incidents of Internet of Things platform, using DDoS mechanism. Trojan was the most common virus for injecting DDoS into IoT platforms, and creating havoc across various industries, especially gaming, media and finance. The report said, “As vulnerable devices are added to IoT-based botnets, we will continue to see surges in botnet capabilities and DDoS attack size.” As per the findings of the report, as more and more devices are connecting to one another, hackers are finding it easier to hack and inject ransomware and other viruses. There were 12 major DDoS attacks in Q4 of 2016, and out of that, gaming organisations were victims of 5 major attacks, whereas media industry witnessed 5 major attacks. "1.1 Cr Web Apps Were Hacked In India India - Akamai Report For Q4 2016", 5 out of 5 based on 1 ratings. Reliance Jio Has Not Touched 100 Mln Subscriber Mark Yet, But They Are Close!